Bi Folding doors have a wider opening when fully folded; this means that the home and garden can be fully integrated seamlessly. This is something many customers imagine as their ideal patio doors, before looking into the options for their new extension. Sliding designs have a smaller opening than folding doors, reducing the accessibility between the home and garden. These are a popular option for openings and gardens with less space! Bi-Fold doors require an area at the end of the doors to create the larger opening, whereas Sliding Doors overlap reducing the amount of space required for opening making them perfect for smaller requirements. Bi-Fold doors take the easy win in this category – these doors are perfect for homeowners who want to integrate the beauty of the garden with their home and extend their living space. Sliding doors do have their benefits and are a positive addition to homes with smaller openings and smaller gardens. Sliding doors move easily on their tracks and are opened with minimal effort. But do consider the chance of the door getting stuck if the tracks are not kept clean. 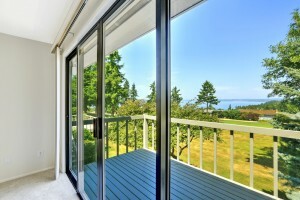 A common phrase when considering patio doors is wanting to “bring the outside in”. In this sense, both Sliding doors and Bi Fold doors cater to this need in different ways. If space limits the door configuration options, you will have to keep an area clear for the folding doors to function, which can be impractical for smaller rooms and gardens. However, a traffic door can be included in the design so that you have access in and out, just as you would with a back door. This can be particularly useful in the colder weather. By having the ability to have a level threshold between inside and outside, completely transforms the area, opening out space to its full capacity. The ability for Bi-Fold doors to open dramatically increases the practically of them, however, there must be an external or internal area for the doors to be stacked. The versatility of the traditional sliding door is suitable for any sized room of the house but offers less functionality in letting ‘the outside in’ in terms of entry space. The traditional sliding style offers a larger glass surface when the door is closed, providing a better view of the exterior environment when closed. 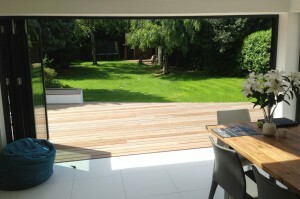 This is the Sliding Door’s version of ‘Bringing the outside in’, allowing you to enjoy views of your garden, without being Once open, sliding doors create a half opening allowing for a gap wider than your standard door. The Maximum width for each panel is increased with Bi-Fold doors, offering better views and more natural light. However, the framework needed for this style is typically wider than traditional designs, so the exterior view may be affected when the folding doors are closed. This is compensated however by the ability to fully open the space in which the doors sit. Sliding doors are the winner here, as they offer a larger glass surface. Whilst our bi-fold products are designed with slim sight-lines, many customers choose the style of sliding or lift and slide doors over the functionality of folding doors if their home offers beautiful views. Increasing in popularity, these aesthetically pleasing doors add a modern twist to your home. They produce a better visual appearance and are likely to increase the value of your property. 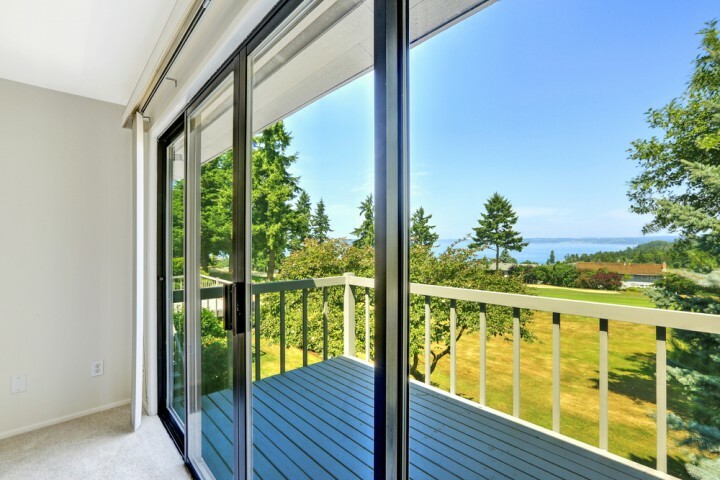 Newer builds and larger homes increasingly have patio areas readily available, allowing for the flat threshold effect of the Bi Fold doors to become the centre-piece of the rear of your house. If you’re looking to create the ultimate summer space, opening up the back of the house to connect with a garden or patio, Bi-Fold doors allow you to create a complete opening flush with the outside space. Sliding doors can add beauty and elegance to a home and can effectively increase the amount of natural light, making smaller rooms feel bigger. Views of the garden, increased access to the garden and the added light to the home are all features that sliding doors add aesthetically. Both products effectively improve the look and functionality of a home, easily increasing a property’s value when it comes to selling up. Additionally, each Lite Haus door is designed to be thermally insulating, an important consideration for anyone purchasing their next home, improving your energy rating and ultimatelty adding greater value. Installing a set of external bifold doors shouldn’t be disregarded because of safety. Bifold doors come with a multi-point locking system, combined with an inline system making it impossible to accidentally or intentionally lift the doors from their track. Similar to Bi-Fold doors, our Sliding doors also come with a multi-point locking system and an inline tracking system to ensure the doors can’t be lifted. It’s also recommended, to improve not only security but the thermal properties and efficiency of the doors, that double glazing glass is used with our doors! With both as secure as each other, there is no need to worry about the security of your BiFold or Sliding Doors. Our multi-lock systems combined with inline tracking ensure of full security, as well as safety as the doors cannot be easily lifted from their tracks once secure. Still not sure which doors are suitable for your home? Speak to our team of experts today! Call us on 024 7646 0115 or fill out our contact form and we’ll get back to you.